Everyone is different when it comes to running. Some enjoy running alone, while others want company. 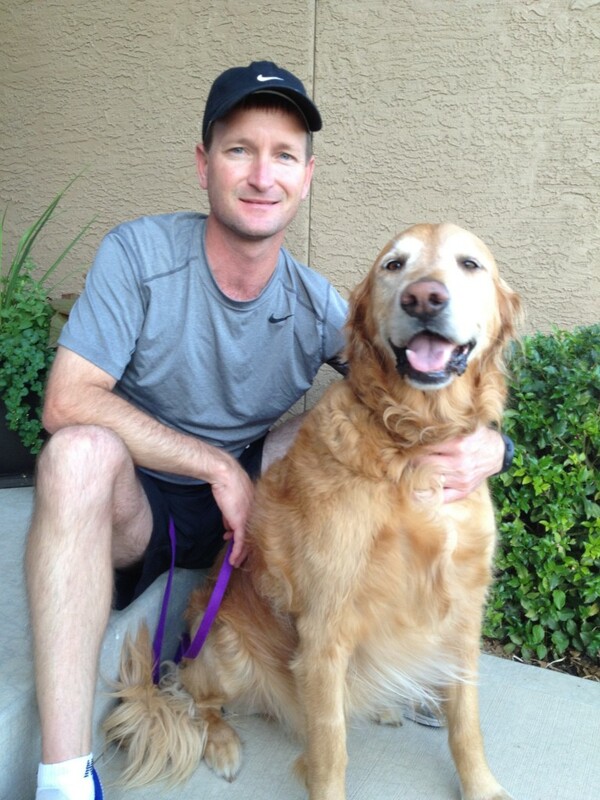 Over the past 6 years my running partner has been my Golden Retriever named Farley. When we adopted him and took him to the vet for his initial check up, we found out that he was prone to hip dysplasia. The veterinarian said that with proper diet and regular exercise it could be managed without surgery. So I began running with him at least four days a week. Farley was examined again when he was a year old, and we were told that his hips were fine. We kept in touch with the owner of one of Farley’s litter mates, and knew that his dog had two hip surgeries within that first year. 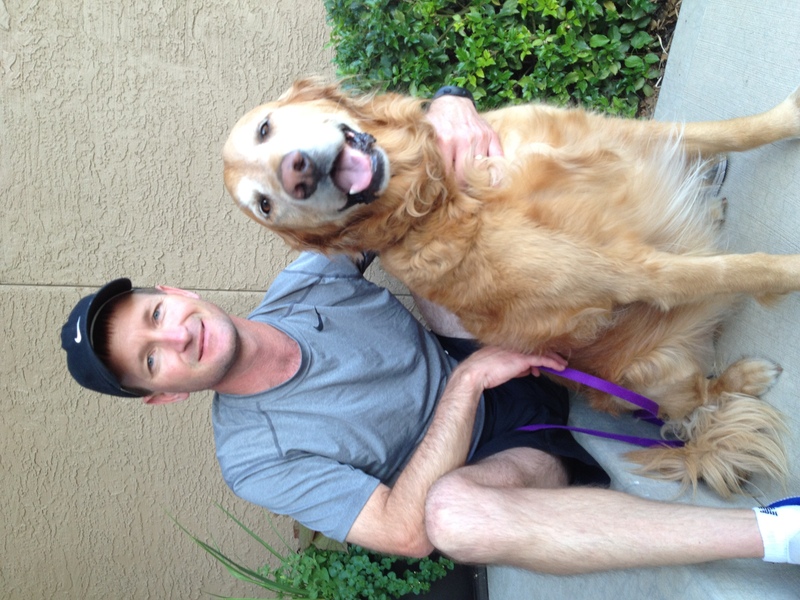 In 2008 I began training for the Chicago Marathon, and Farley had run every training mile with me. As with any running partner, they are not always on the same page with what you want to accomplish on any particular run. Farley and I were no different. We would differ on pace, distance, and when the right time to stop for a restroom break was. One thing he always wanted, no matter how far we went, was to go farther. Believe me when I say that there were several occasions that I thought it would be nice to just run by myself, but he would never let me get away with that. I had a strange feeling the morning that I left the house to go to the airport to fly to Chicago. As I was heading out the door, my running gear in a bag, Farley was lying on the floor with his head on his front paws, just staring at me with this look that made me pause for a moment. I thought to myself, we had trained for this together, and now I am leaving him behind to run it alone. It was a little difficult to continue out the door. We continued to run together regularly until he blew out his ACL this March while chasing other dogs around at the off-leash area. The vet informed us that if his hips were bad in addition to his ACL tear we should consider putting him down, as his quality of life would take a hit. The x-ray confirmed that his hips were in good shape. Farley had his ACL surgery 7 weeks ago, and his follow up appointment is in a week. It has been two long months of me running alone while he has been confined to a play pen. Literally, a play pen. Hopefully we will be able to start working towards running together again soon because I have missed my running partner, and I know he has missed running! Joel is a KCTC ambassador and you can see him on Saturdays in Olathe at 8am at the PriceChopper at 159th & Mur-Len.